The Constitution provides for freedom of religion and prohibits religious discrimination but designates Eastern Orthodox Christianity as the "traditional" religion. Laws executing these provisions are ambiguous, giving scope to arbitrary decisions with respect to public practice of religion by unregistered groups. The Government generally respected the religious freedom of registered religious groups. There were some concerns regarding government registration of religious groups and interference with religious disputes. There were also continuing reports of intolerance from local authorities during the reporting period. There were ongoing reports of societal abuses or discrimination based on religious affiliation, belief, or practice. Discrimination, harassment, and general public intolerance, particularly in the media, of some religious groups remained an intermittent problem. The country has an area of 42,855 square miles and a population of 7.6 million. The majority of the population, estimated at 85 percent, identifies itself as Orthodox Christian. Muslims comprise the largest minority, estimated at 13 percent. According to the Council of Ministers Religious Confessions Directorate, there are approximately 150,000 evangelical Protestants, up to 30,000 Armenian Christians, and 3,000 Jews. According to a 2005 report of the Bulgarian Academy of Sciences, only 50 percent of the six million who identify themselves as Orthodox Christians participate in formal religious services. The same survey found that 90 percent of the country's estimated 70,000 Catholics regularly engage in public worship. Approximately 30 percent of Catholics belong to the Byzantine Rite Catholic Church. There are 100 registered religious groups in addition to the Bulgarian Orthodox Church (BOC). Orthodox Christianity, Hanafi Sunni Islam, Judaism, and Catholicism are generally understood as holding a historical place in Bulgarian culture. Some religious minorities were concentrated geographically. The Rhodope Mountains (along the southern border with Greece) are home to many Muslims, including ethnic Turks, Roma, and "Pomaks" (descendants of Slavic Bulgarians who converted to Islam under Ottoman rule). Ethnic Turkish and Roma Muslims also live in large numbers in the northeast and along the Black Sea coast. More than half of Roman Catholics are located in the region around Plovdiv. Many members of the small Jewish community live in Sofia, Rousse, and along the Black Sea coast. Protestants are more widely dispersed throughout the country. Areas with large Roma populations tend to have some of the highest percentages of Protestants. The Constitution provides for freedom of religion, and other laws provide the right to practice the religion of one's choice, including studying, discussing, and promulgating one's beliefs. Article 5 of the 2002 Denominations Act allows private religious exercise if members of the religious community are the only persons present and public religious exercise if the exercise is also open to persons not belonging to the respective religious community. The act's ambiguous wording gives rise to arbitrary decisions with respect to public practice of religion by unregistered groups. Article 36 of the act punishes "any person carrying out religious activity in the name of a religion without representational authority." Article 8 of the act allows the courts to punish registered religious organizations for a variety of offenses by banning their activities for up to six months, banning the printing or distribution of publications, or canceling a group's registration. Some concerns remain that the 2002 Denominations Act does not adequately specify the consequences of failure to register. The Constitution designates Eastern Orthodox Christianity, represented by the BOC, as the traditional religion, and the Government provided financial support to it, as well as to several other religious communities perceived as holding historic places in society. The state budget allocated approximately .4 million (3.3 million leva) for registered religious groups, including the BOC, the Muslim community, the Jewish community, the Armenian Apostolic Church, and Protestant and other groups. Of the total amount, approximately million (2.8 million leva) was allocated for the BOC, mostly for renovation and maintaining of church property. The 2002 Denominations Act designates the Metropolitan of Sofia as the patriarch of the BOC. The act requires all religious groups other than the BOC to register in the Sofia City Court and prohibits any group or person who has broken off from a registered religious group from using the same name or claiming any properties belonging to that group. Religious observers argued that this provision effectively outlawed the Bulgarian Orthodox "Alternative Synod" (a splinter group that disputed the legitimacy of the BOC leadership and claimed the authority to manage church property). Three other Orthodox churches received court registration during the reporting period, but these churches did not dispute the authority or property of the traditional Orthodox Church. The Council of Ministers' Religious Confessions Directorate, formerly responsible for the registration of religious groups, provides "expert opinions" on registration matters upon request of the court. The Directorate also issues guidance to ensure that national and local authorities comply with national religious freedom legislation. Within its discrete authority, the Directorate was generally responsive to denominations' concerns. To receive national legal recognition, denominations must apply for official court registration, which was generally granted. All applicants have the right to appeal negative registration decisions to the Court of Appeals. Some local branches of nationally registered denominations continued to experience problems with local authorities who insisted that the branches be registered locally, despite the fact that the 2002 Denominations Act does not require local formal registration of denominations. The Government observes Orthodox Christmas and Easter as national holidays. In addition, the Government respects the holidays of non-Orthodox religious groups, including Muslim, Catholic, Jewish, Evangelical, and Baha'i, and grants their members nonworking days. The Constitution prohibits the formation of political parties along religious lines, but there were concerns that some parties exploited religious issues for political purposes. Military law prohibits religious groups from conducting any activity on military premises and prohibits ministering at any level within the armed forces; however, military personnel may attend religious events outside military property. For most registered religious groups, there were no restrictions on attendance at religious services or on private religious instruction. Schools offer an optional religious education course that covers Christianity and Islam. The course examines the historical, philosophical, and cultural aspects of religion and introduces students to the moral values of different religious groups. All officially registered religious groups can request their religious beliefs be included in the course's curriculum. While the Ministry of Education provides the course material for free to students, religious education teachers participating in the program are funded directly from municipal budgets. A number of religious groups broadcast radio programs: the Orthodox Radio Sion and the Christian Radio Svetlina air via Internet; the Seventh-day Adventists broadcast a daily one-hour program in Bulgarian on their world radio "Voice of Hope"; the Evangelical Trans-World Radio network also broadcasts a daily program in Bulgarian. The Government generally respected religious freedom in practice; however, it did not apply existing laws on religious issues consistently. On January 22, 2009, the Sofia City Court rejected the Jewish Center Chabad Lubavitch's application for registration. The court consulted with the Religious Confessions Directorate, which cited opposition from the registered Jewish denomination. Article 27 of the Denominations Act requires all nonprofit legal entities seeking to promote an already registered denomination to receive the consent of that denomination. The court stated that the Jewish Center Chabad Lubavitch had violated this provision by operating a synagogue and a kindergarten. Shalom, the administrative organization of Jews in the country, also submitted opinions to the court opposing the registration. On April 21, 2008, the court registered Mustafa Alish Hadji as Chief Mufti after he was reelected at a Muslim conference convened by more than 1,000 members of the community's local branches. The conference followed competing court decisions, which ultimately reinstated rival Islamic leader Nedim Gendzhev. Gendzhev appealed the 2008 registration, alleging judicial corruption and document forgery. The court decision on this case was pending, as well as another case against him alleging embezzlement of approximately 2,000 (800,000 leva) when the court temporarily reinstated him to the Chief Mufti's Office. Some "nontraditional" groups continued to face discrimination and prejudice from local authorities in certain localities, despite obtaining a national registration from the Sofia City Court. Article 19 of the 2002 Denominations Act states that nationally registered religious groups may have local branches. The law requires notification, although some municipalities claimed it requires formal local registration. Some municipal regulations prohibited the distribution of religious literature by groups that were not locally registered. There were renewed reports of enforcement of these local regulations in Burgas, Gabrovo, Plovdiv, and Pleven. On October 8, 2008, the Plovdiv municipal police stopped a member of Jehovah's Witnesses and issued her a warning not to distribute religious literature. On November 3, 2008, the Burgas Administrative Court rejected a complaint filed by the Jehovah's Witnesses against the Burgas municipality. In April 2008 the municipality sent a letter to all Burgas schools instructing them to alert students to the mobilization of nontraditional religious groups such as Jehovah's Witnesses, The Church of Jesus Christ of Latter-day Saints (Mormons), and Evangelical and Pentecostal churches, which the city described as the most prominent and dangerous sects. In the letter, authorities claimed these groups attracted followers through manipulation, offers of money, clothing, and food, as well as free movie screenings. They further maintained that the activities of these groups threatened the unity of the nation and exposed it to religious confrontations. Both Jehovah's Witnesses and Mormons reported increased hostility, including public insults and stones thrown at their places of worship, following the distribution of the letter. The court dismissed the case, claiming it was unable to verify that the identity of the claimant (officially registered as Jehovah's Witnesses in Bulgaria) matched that of the Jehovah's Witnesses referred to in the letter. In November 2008 the denomination filed a second complaint, which was pending at the end of the reporting period. In December 2008 a school teacher read the same municipal letter to her class as a warning before the Christmas holidays. Some local governments restricted certain forms of proselytizing. In March 2008 the Mormons complained to the Ombudsman of reoccurring hostility from local authorities in Pleven and Plovdiv. After submitting repeated reminders of their letter, the Mormons received a formal answer from the Ombudsman in April 2009 that cited the Government's obligations to ensure respect for religious freedom but did not address substantively the specific situation. The Mormons reported a number of incidents in different localities, including Ruse and Varna where the missionaries were banned from engaging in conversations about their religion and distributing materials in public places. In January 2009 the Religious Confessions Directorate warned the Jehovah's Witnesses of reoccurring complaints against them for engaging minors in religious conversations without their parents' consent. The Jehovah's Witnesses rebutted the accusations, saying their missionaries were entrapped. The group issued internal guidelines explaining the law's prohibition against including minors in religious activities without parental approval. On March 20, 2009, the Supreme Administrative Prosecution Service issued a ruling stating current city zoning plans did not permit the construction of a second mosque in Sofia. The Service acted on a complaint received by a Member of Parliament alleging illegal financing of the construction project. The Chief Mufti's Office rejected the allegations and complained the construction of an Islamic Center, comprising a complex of buildings for administrative, educational, and religious purposes, had been stalled by the municipal authorities on different procedural grounds since 2002. The Mufti's Office also asserted the land had been rezoned several times during this time, leading to an inexplicable decrease in the area of the titled land and the portion available for construction. On March 19, 2009, the Burgas municipality overruled its previous decision and banned the construction of a mosque, citing concerns for public peace and order. The municipality had initially allowed the construction in response to the local Muslim community's outcry sparked by the December 2008 demolition of an illegally built mosque. Again in March 2009, the Burgas municipal authorities halted the construction of another mosque in the town, insisting that a separate permit was required for the mosque's minaret. On February 26, 2009, the Orthodox bishop of Veliko Tarnovo led a protest march and presented a petition to the mayor of Gabrovo signed by 5,000 city residents opposing the construction of a Jehovah's Witnesses prayer house in Gabrovo. The municipal authorities had issued a building permit for the prayer house in January 2009 but stopped the construction in February claiming that the Jehovah's Witnesses illegally had erected a concrete wall at the site. The Jehovah's Witnesses demolished the wall on March 24, 2009, and were awaiting a municipal permit to resume construction at the end of the reporting period. Jehovah's Witnesses reported that local authorities in Varna continued to obstruct their efforts to build a meeting hall. In June 2007, after a long battle, they gained permission to begin construction. However, the mayor ordered a stop to construction in July 2007. On July 16, 2008, the Supreme Administrative Court confirmed the November 2007 decision of the Varna Administrative Court, which ruled the mayor's order was legal because the construction foreman, a member of Jehovah's Witnesses, lacked a legitimate labor contract. All criminal charges against the foreman were ultimately dropped after a series of police interrogations and reported police harassment. In January 2009 the Burgas Free University expelled a student after she refused to take off her headscarf at an exam. The student had already paid tuition and completed the semester but was required to remove her headscarf in order to take the test. The university cited its internal rules, which prohibit wearing of hats, headscarves, and official uniforms during lectures or exams. In Kurdzhali, a student was refused practical training required for graduation after attending school for four years because of her headscarf. There were no indications that the Government discriminated against members of any religious group in restitution of properties that were nationalized during the communist period. However, the BOC, Catholic Church, Muslim community, Jewish community, and several Protestant denominations complained a number of their confiscated properties had not been returned. Despite a decade-old court decision in its favor, the Jewish community was unable to regain possession of a state-run hospital in central Sofia until May 2009, when the Ministry of Health made premises available and the hospital was relocated to another building. Prior to the relocation, the hospital's management had contested in court the Jewish community's ownership over the building. On March 5, 2009, the court terminated the case based on a letter by the Health Ministry confirming the relocation, but the hospital management's appeal of the court decision was pending at the end of the reporting period. This paved the way for Shalom to take physical possession of the building, although its ownership remained contested. On January 22, 2009, the European Court of Human Rights (ECHR) issued a ruling on the case filed by the Alternative Orthodox Synod after the 2004 forceful expulsion of its members from their parishes. The ECHR held that the Government had violated the religious rights of the claimants and gave the parties three months to negotiate mutually agreeable compensation. The leadership of the Orthodox Church disputed the ruling and called on the claimants to repent for what it viewed as illegal occupation of church property and false representation of the denomination. The parties did not reach an agreement within the deadline, and the Government appealed the decision before the ECHR's Grand Chamber. On June 5, 2009, the Grand Chamber rejected review of the appeal, and the court gave the parties another three months to settle on the amount of compensation due from the state to the claimants. Relations between religious groups generally remained civil and tolerant; however, discrimination, harassment, and public intolerance of some religious groups remained an intermittent problem. There were renewed reports of societal discrimination against "nontraditional" religious groups as well as negative and derogatory media stories about such groups. The Mormons and the Jehovah's Witnesses continued to report numerous print and broadcast media stories with negative, derogatory, and sometimes slanderous information about their activities and beliefs. On June 28, 2009, Mormon missionaries were attacked by a group of agitated youths who were coming back from a soccer game. The youths, reportedly associated with a nationalistic movement, pushed the missionaries to the ground and beat them. Police opened an investigation into the incident. The Chief Mufti's Office continued to report cases of mosque desecrations. On March 3, 2009, three Molotov cocktails were thrown at the mosque in Varna that had been vandalized with graffiti in May 2008. There were no reports of prosecutions in these incidents, and the Chief Mufti's Office expressed concern that the responsible parties went unpunished. The extreme nationalist political party Ataka continued to publish anti-Semitic material in its newspaper, on its website, and on its cable television channel Skat. Protestants asserted heavily Muslim areas with a majority ethnic Turkish population sometimes place restrictions on their worship. The U.S. Government discusses religious freedom with the Government as part of its overall policy to promote human rights. 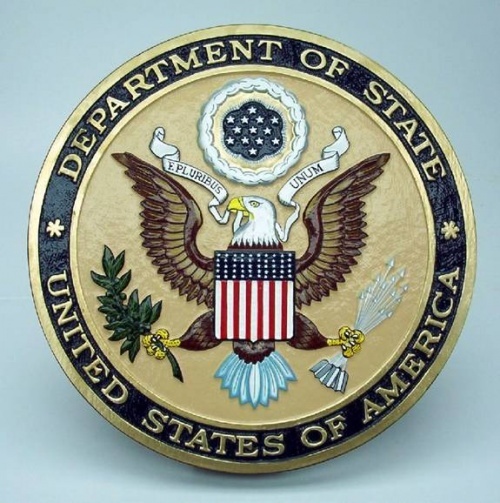 The U.S. Embassy regularly monitored religious freedom in contacts with government officials, Members of Parliament, clergy and lay leaders of religious communities, and nongovernmental organizations. Embassy officers met with Orthodox leaders and clergy, senior and local Muslim leaders, religious and lay leaders of the Jewish community, and leaders of numerous Protestant and "nontraditional" denominations. Embassy representatives met with various religious groups and government entities regarding the restitution of Jewish properties and with Muslim leaders regarding Islamic extremism and the Muslim leadership dispute.